I love crafting of all kinds and I am always super excited when I get a strange request to commission something out of the box. I have done fabric dog Elizabethan collars, flower girl dresses made from heirloom wedding gowns and paper flower bouquets. This time however, the request was a bit more playful. 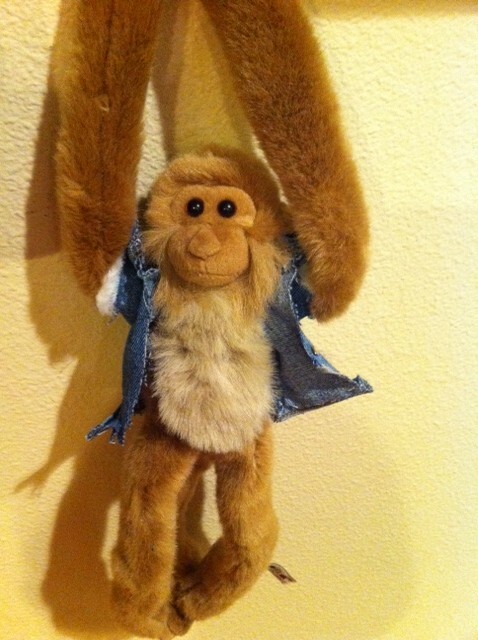 I was commissioned to make a jean jacket for a stuffed monkey. 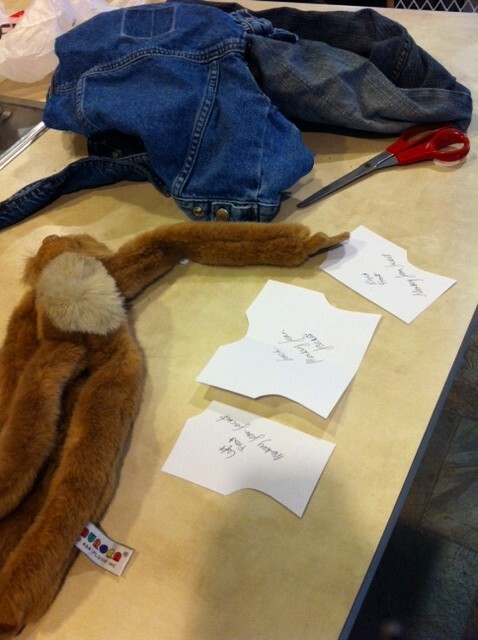 A friends marathon team was themed as “Hangover 2″ after the movie, and they planned on running around with a monkey on their back (literally!) 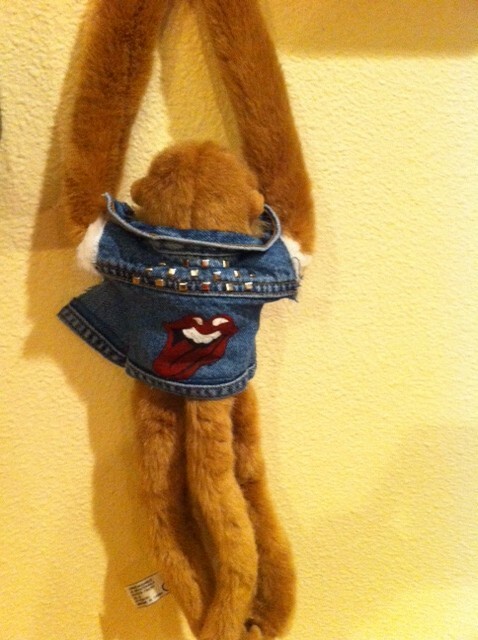 but they needed this monkey to wear a rolling stones jean jacket like the live monkey on the movie. 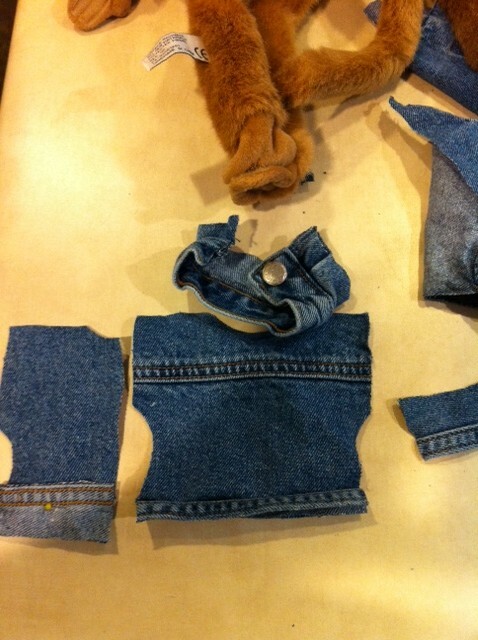 This is where I come in…. 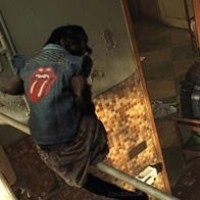 I took a look at the movie monkey to see what I had in store. 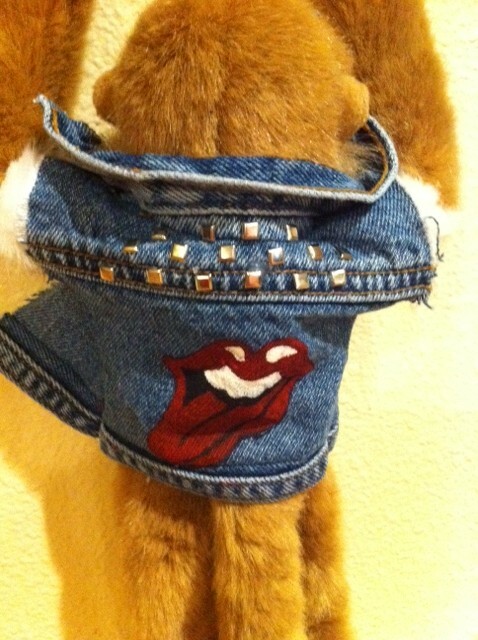 He wore a jean jacket with the sleeves cut off and frayed with silver studs and a rolling stones logo on the back. 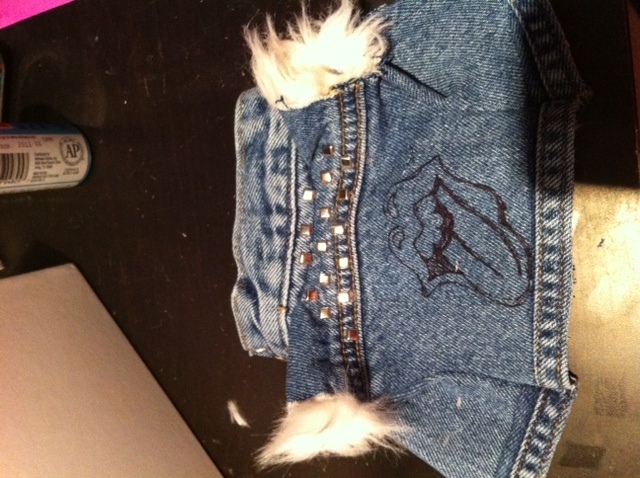 Not only did I get to make up a pattern and sew it together but I also got to embellish, draw and paint. It’s always a lot of fun when I use several different mediums in one project. 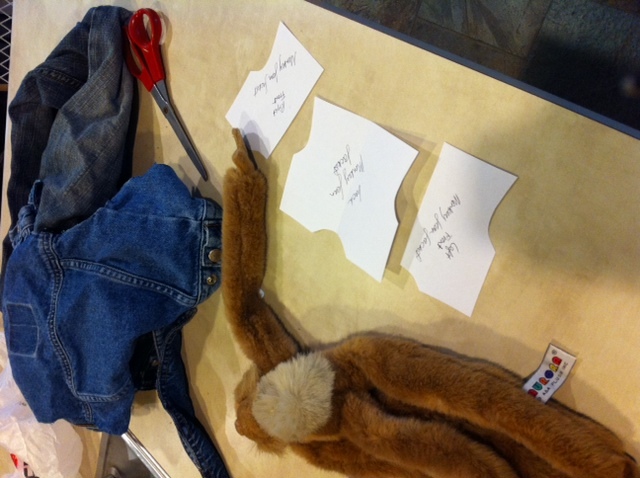 First I quickly drafted a pattern out of plain white paper and cut out my jacket pieces. 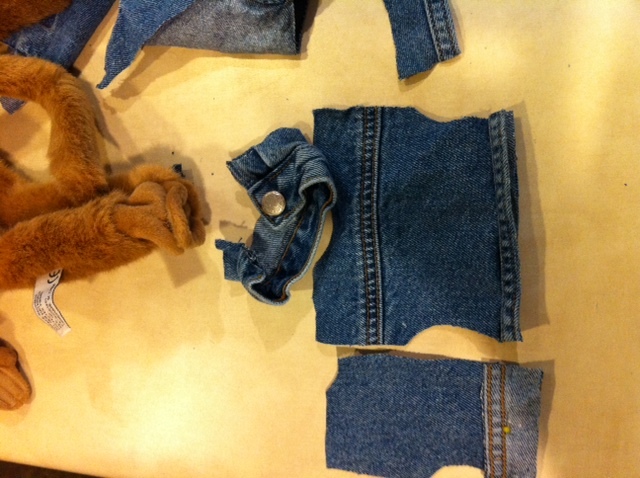 Next, I sewed all the pieces together to form the base jacket. 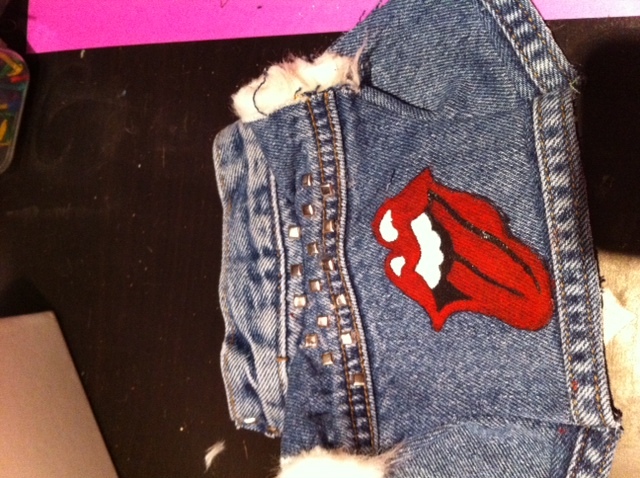 Once this was done, I put on the studs and fur on the sleeves and did a quick freehand drawing of the Rolling Stones logo. 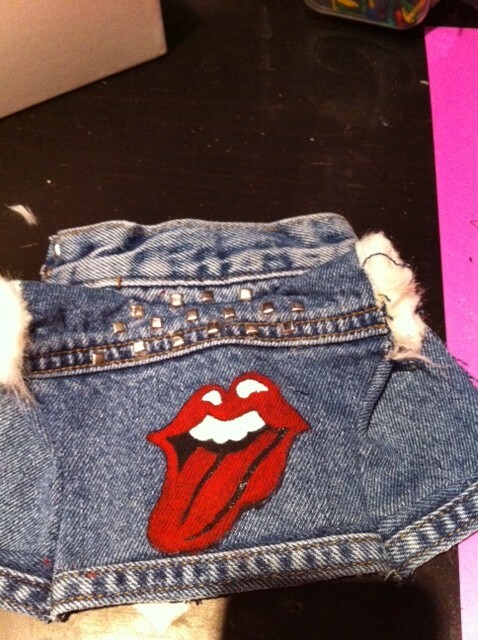 Once the logo was drawn on, I used acrylics to paint in the color. 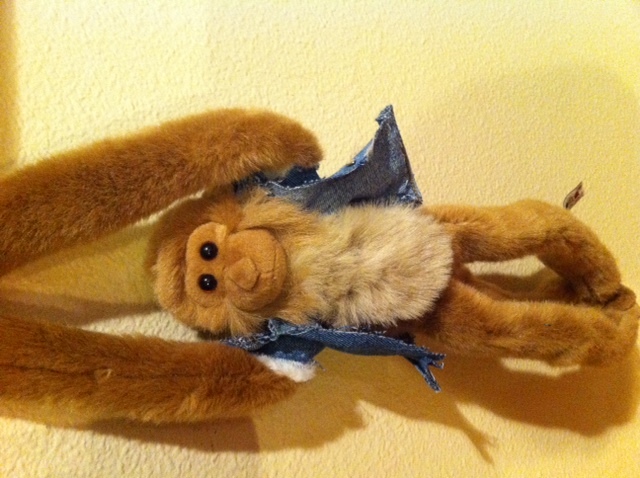 Here is the monkey modeling his new duds! 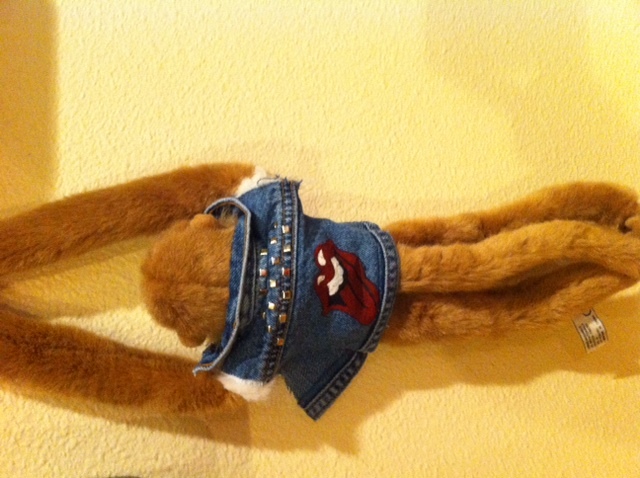 My friend and her teammates were so pleased with the jacket that they have requested another one….so, here we go again! 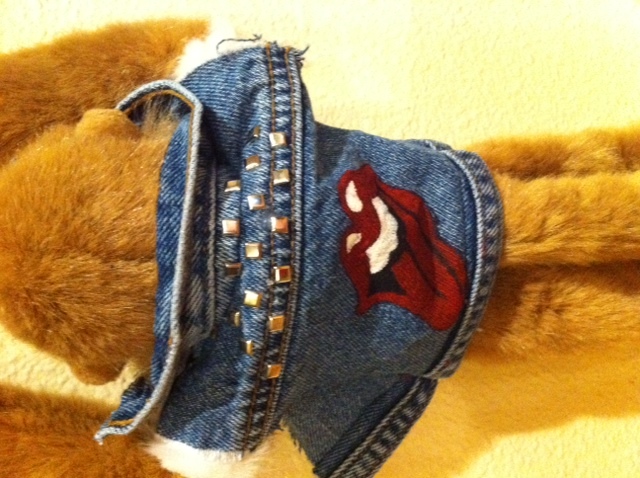 Please consider making another one of these for my dog. 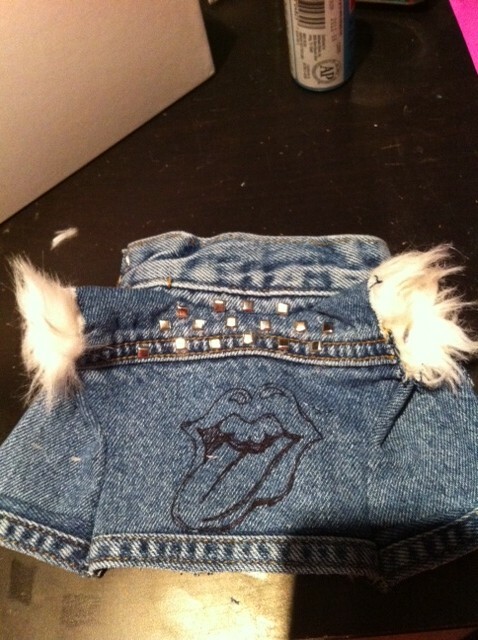 I realize it’s all custom and I would pay for a considerable amount for this much awesome. Please contact me if you would like to do it.